The U.S. State Department will not propose putting Southeast Alaska’s transboundary mine conflict before the International Joint Commission. That’s the U.S.-Canada panel that addresses cross-border water issues. Critics of transboundary mining have been lobbying the federal government to put the issue before the commission. They include tribal, fisheries and environmental groups, as well as local governments. The International Joint Commission is part of the century-old U.S.-Canada Boundary Waters Treaty. It’s charged with resolving conflicts involving waterways that flow from one country into another. The critics say the commission is the best way to keep British Columbia mines and exploration projects from polluting salmon-rich rivers that flow into Southeast Alaska. Lt. Gov. 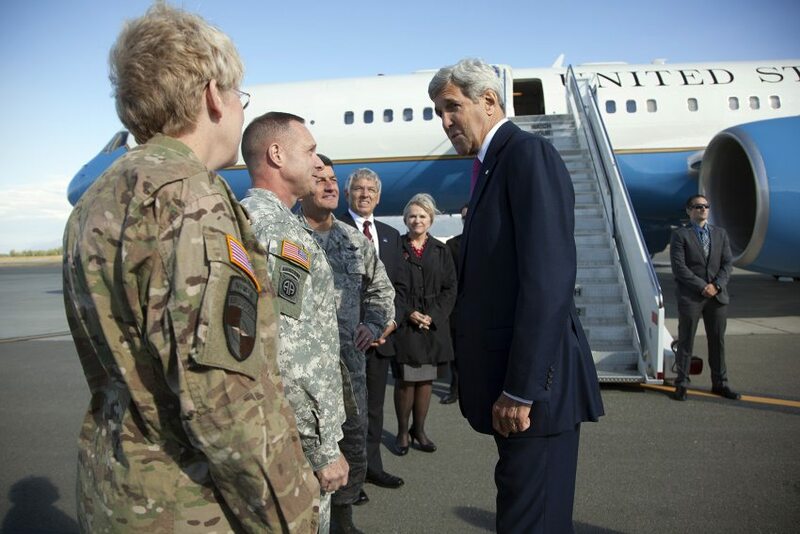 Byron Mallott asked for a sit-down meeting with Secretary of State John Kerry during his recent visit to Alaska. “I didn’t get to meet with him. I did have the opportunity to mention it to him, that it was an issue,” he says. Mallott heads up a state working group looking into transboundary mines. He planned to lobby Kerry to request involvement of the International Joint Commission. “I mentioned that I was going to follow up with the State Department and then I saw that he was later asked a question and commented on the importance of the transboundary river issues,” he says. The department, in responoce to our inquiry, says it’s concerned about British Columbia mining’s impacts on Alaskans, including Native groups, commercial fishermen and the tourism industry. It added that it had shared those concerns with senior levels of Canada and British Columbia’s governments. But State Department officials say they do not anticipate referring the issue to the International Joint Commission at this time. 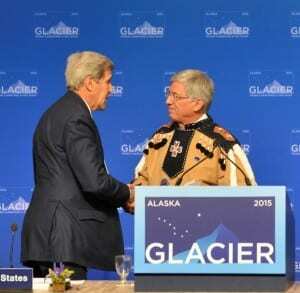 Instead, they’re relying on increased cooperation between Alaska and British Columbia. Guy Archibald, works on mining issues for the Southeast Alaska Conservation Council, says he’s surprised. “The IJC has over a century of action that has been very effective everywhere from Washington State to New York State in avoiding disputes across the boundary,” says Archibald, who coordinates the Inside Passage Waterkeepers group. One tribal leader says he’ll pursue another avenue. “If the State Department isn’t willing to step in and help us, then this is something that we have to step up and take on ourselves,” says Rob Sanderson Jr., a member of the Central Council of the Tlingit and Haida Indian Tribes of Alaska’s Executive Committee. He also co-chairs the United Tribal Transboundary Mining Work Group. “We do have that relationship with the federal government that we need to exercise. Basically, when they say ‘We’re not going to seek a referral,’ we are going to have to take matters into our own hands,” he says. The transboundary work group includes about a dozen tribal governments in Southeast Alaska. Sanderson says they’ll seek additional support before using their role as sovereign governments to ask the State Department for International Joint Commission involvement. PreviousKid-ical bike ride more massive than ever!